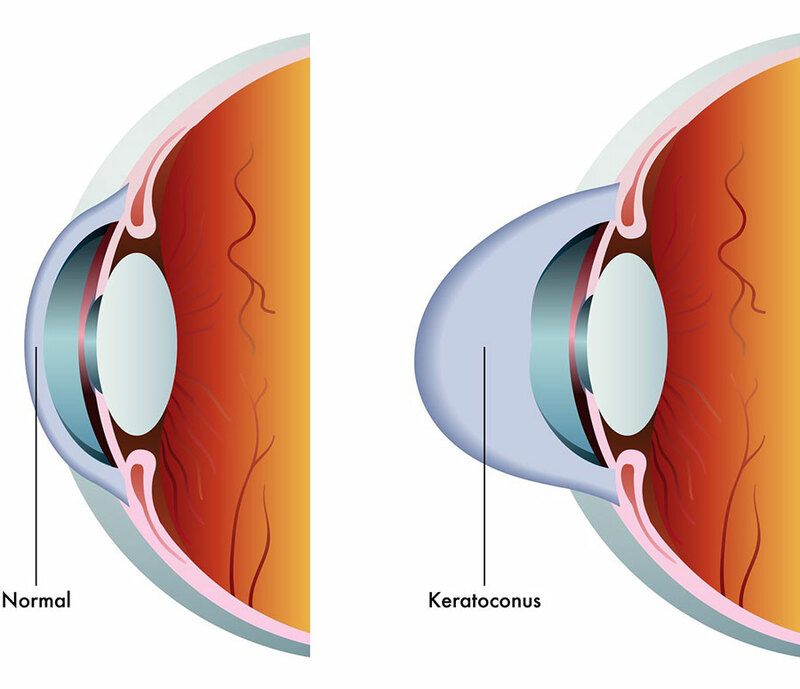 Our doctors have experience in identifying and treating keratoconus. It is a disorder of the eye which results in progressive thinning of the cornea. This may result in blurry vision, double vision, nearsightedness, astigmatism, and light sensitivity. Usually both eyes are affected. Initially the condition can typically be corrected with glasses or soft contact lenses. As the disease worsens special contact lenses may be required. In most people the disease stabilizes after a few years without severe vision problems. Our doctors also have expertise on Orthokeratology also referred to as Ortho-K: Overnight Vision Correction and Corneal Refractive Therapy. It is the use of special contact lenses, normally worn at night to improve vision through reshaping of the cornea. This option can be used as an alternative to eyeglasses, refractive surgery or use of contact lenses during the day.